pampas2palms: Cleopatra to the rescue! Well I must be having at least a partial recovery from my horticultural dry spot - I bought a plant! Driving home the other day along a familiar road, I made a spontaneous stop to look at the rather extensive display of plants outside a greengrocer's shop. 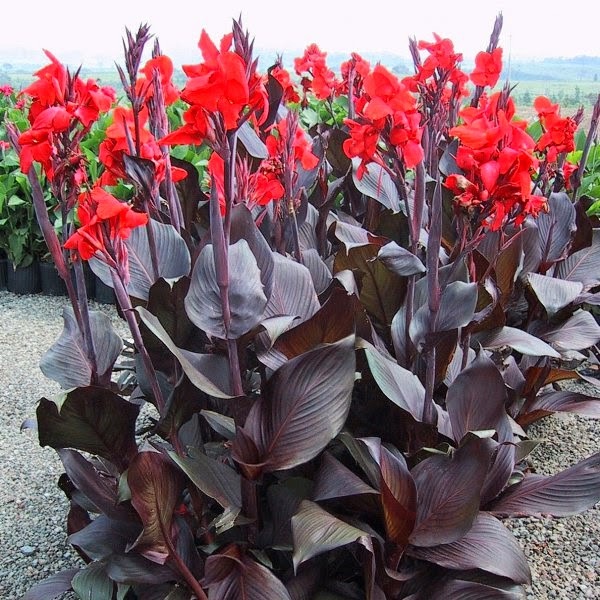 To my surprise there was a large batch of Canna 'Cleopatra'. Not only were they good plants, and amazingly virus free but they were only a fiver a pot. Instant impulse purchase! 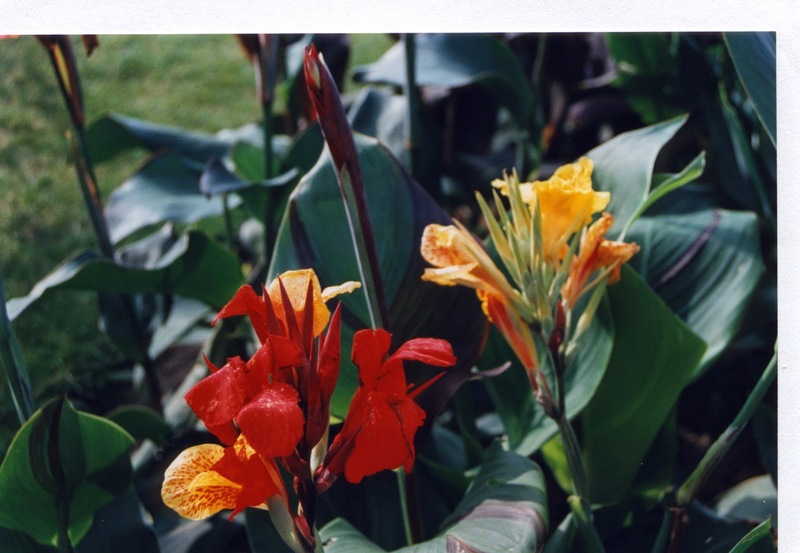 Although not rare, 'Cleopatra' is a novelty amongst cannas, as its a periclinal chimera, meaning that it has mixed tissues. Quite simply the plant has the ability to produce green or deep bronze leaves and yellow or red flowers all from the same plant. Usually the yellow flowers are linked with shoots that have green leaves and red flowers with bronze leaves. The shoots and flowers are however not distinct in their colourings and striped or two toned leaves often occur, as do flowers with two-toned petals. It is a plant that is curious rather than beautiful, although it can be quite handsome. Being quite unstable, means that it frequently mutates and deteriorates, so some commercial stocks are poor, showing few of the interesting leaf markings. My purchase was quite striking with lots of striped leaves and big bands of shiny bronze. 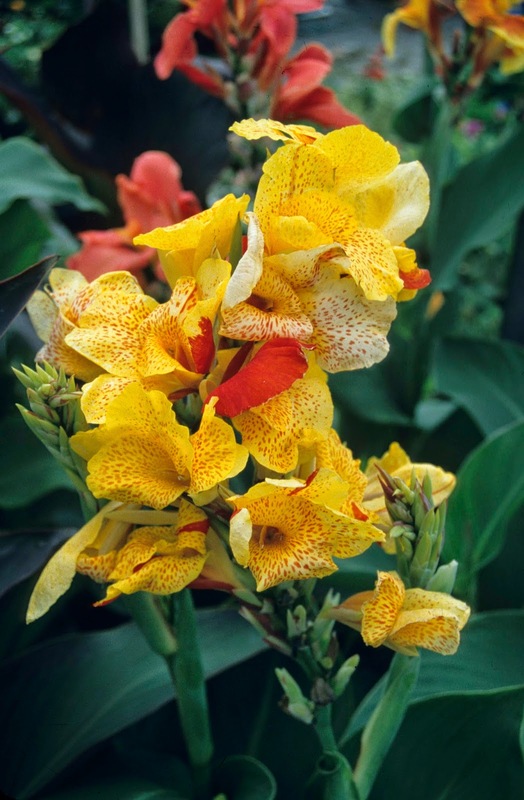 'Cleopatra' is widely grown worldwide and may occur as 'Yellow Humbert', 'Spanish Emblem', or 'Queen of Italy'. It is said to have arisen as a sport from 'King Humbert' as long ago as 1895. 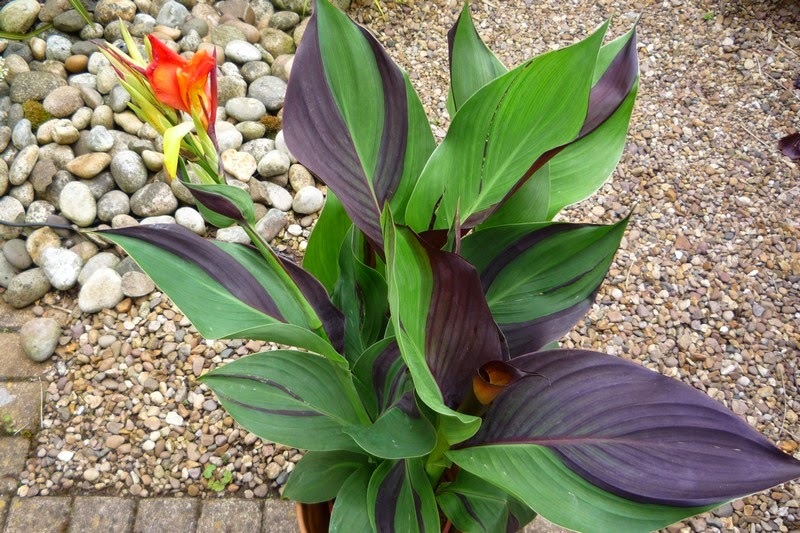 When I used to grow cannas, I sometimes isolated pure bronze shoots, which grew on well on their own and I sold it as 'Red Cleopatra'. The modern cultivar sold as 'Tropicanna Black' would appear to be exactly this. It's a good plant but no more unique than any of the so-called 'Tropicanna' range. This purchase must also bring back memories of your Canna collecting days Ian. It's a beauty and a steal for a fiver! That's a beauty. Brings back memories of seeing it for the first (and only) time when I visited Mark and Gaz's garden. Never have seen it for sale here in Portland, OR (USA). Glad to see you couldn't resist, Ian - Now, what you need is a few more like that. ;-) Out of interest, do you see many cannas around/for sale in California, and if so, are they clean/virused?? Just interested to know. I was never a fan of 'Cleopatra' having only seen pictures of it online but when I was given a plant it turned out to be one of my absolute favourites, a really unusual beauty.